The Golden Age of Philanthropy: But is Giving Enough? Photo credit: Preston Kemp via Creative Commons License through Flickr. The photographer does not necessarily endorse the views expressed in this article. As we addressed in an earlier post, some detractors from the old-guard make the not-so-new (and we contend wrongly, see here) claim that philanthropic efforts like CSR, corporate philanthropy, and cause-marketing products are tantamount to stealing profits away from company shareholders. Despite these claims, both businesses and individuals continue to push these efforts forward and as a result we have entered into a golden age of philanthropy. For example, according to the 2008 Census and the Giving USA Annual Report on Philanthropy for the year 2009 the number of participants and the amount given to philanthropic endeavors has continued to increase every year since 1956, reaching a record high $314.07 billion given in 2007. 2008 saw giving drop slightly for the first time in over three decades but even in the “worst economic climate since Great Depression,” giving exceeded $300 billion for second year in a row. Along those same lines, individual giving still accounts for 75% of all donations, but the average household, despite the recession, gave $1,940 to charities in 2009, up over $600 since 1970. Likewise, corporate giving has jumped up $5 billion annually in the last decade. To drive this point home, in this terrible economic climate Bill Gates and Warren Buffett are well on their way to raise $600 billion in the largest pledge drive ever attempted. Not only does this data point to a wealth of resources to which causes have never before had access, but it also indicates a large shift in the attitude towards philanthropy on every level. Thanks to innovative methods of giving and fundraising, ranging from phone drives to guerrilla campaigns and cause-marketing product sales, individuals and corporations have a plethora of philanthropic means at their disposal. More importantly, they are using these new methods of giving and doing so in record numbers. However, some critics argue that new and indirect forms of giving such as purchasing a cause-marketing product may not be ideal. As Scott Henderson of CauseShift states in post on Philanthropy.com, “In a misguided search for meaning and purpose, we have sought to define ourselves by the brands we consume—corporate, charitable, political, and religious,” and that it easier for someone to buy a wristband that generates a corporate donation than it is to do the hard work required of direct social engagement. While I agree that American consumerism has greatly impacted our sense of individual identity, I hesitate to discredit the use of it as tool for change. For example, buying a wristband can make a difference. 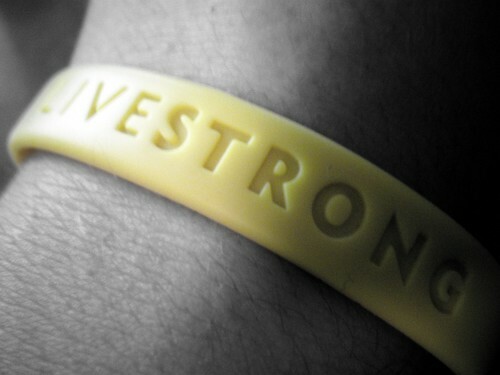 In 2009 the LIVESTRONG campaign, a partnership between Nike and the Lance Armstrong Foundation and Endowment, raised over $50 million with $5 million coming from merchandise sales including the famous yellow wristbands. 81% of the total revenue, over $30 million, went to educational and grant programs for cancer research and survivors. Similarly, since its inception in 2006 Product (RED) campaign has raised over $150 million for the Global Fund to help eliminate AIDS in Africa through events and the sale of (RED) products by vendors like Gap and Apple. In both instances, these campaigns generate large sums of money that otherwise would not have reached those in need. Nonetheless, as Mr. Henderson points out, change will not come from buying a product, no matter how many resources it avails a specific cause. There is still a need for participants to go out in the communities forming meaningful relationships. On this point I couldn’t agree more. However, according to the 2008 and ’09 census and US Giving Annual Reports, people are doing just that. Not only have the number of non-profits continually increased roughly yearly, up nearly 400,000 since the year 2000* but there is evidence of an increase in participation as well. Over the last three years, the total number of volunteers has increased annually. This statistic combined with the growing size, number, and value of nonprofits points to an increasing participation in both the form of “giving” and the form of “taking action”. In other words, the ease of which people now give may slowly be translating into a parallel increase in ground-level involvement. Although we might not be able to claim a total societal embrace of direct philanthropy, let us look at the big changes in method and attitude we have made within our culture of giving and praise them as steps in the right direction. Giving USA, a publication of Giving USA FoundationTM, researched and written by the Center on Philanthropy at Indiana University, 2009. * April 22, 2010, The New York Times reported that as many as 400,000 registered nonprofit organizations (which includes membership associations, not just charities) were threatened with loss of their tax exempt status because they did not know about or did not understand the IRS requirements implemented in 2006. Henry – Thanks for sharing your post. I wanted to clarify to your readers that my Chronicle of Philanthropy was centered on how disconnected people have become from doing good and taking direct action for the social issues they care about. I don’t seek to discredit or diminish the impact cause marketing make, rather I seek to improve and innovate on past successes. As we become more interconnected thru our technology, we must also strive to personally and directly lead positive change – whether as citizens, corporate employees, non-profit leaders, or government officials. Each of us needs to focus more on being citizens than consumers.